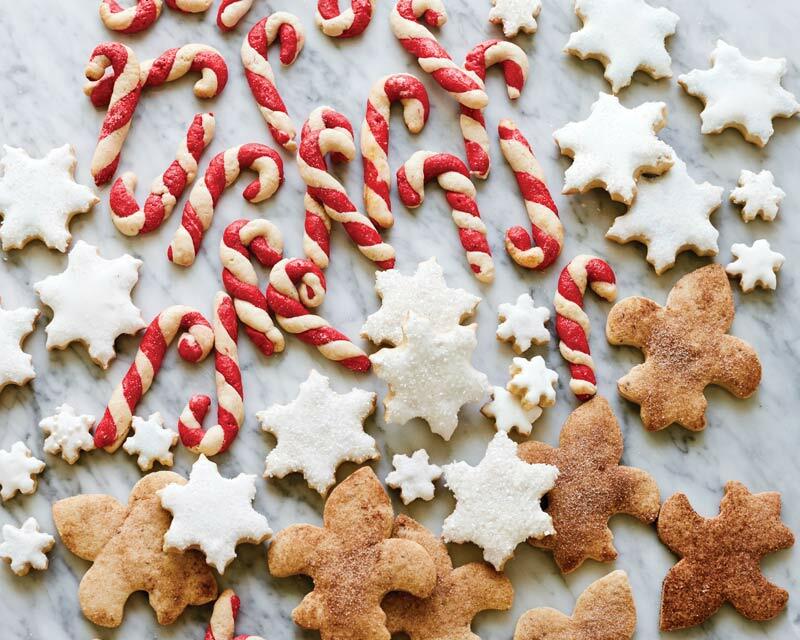 We visited Chef Julie Tanous and award-winning actor Jesse Tyler Ferguson of the food and lifestyle blog Julie & Jesse for some fun holiday baking! 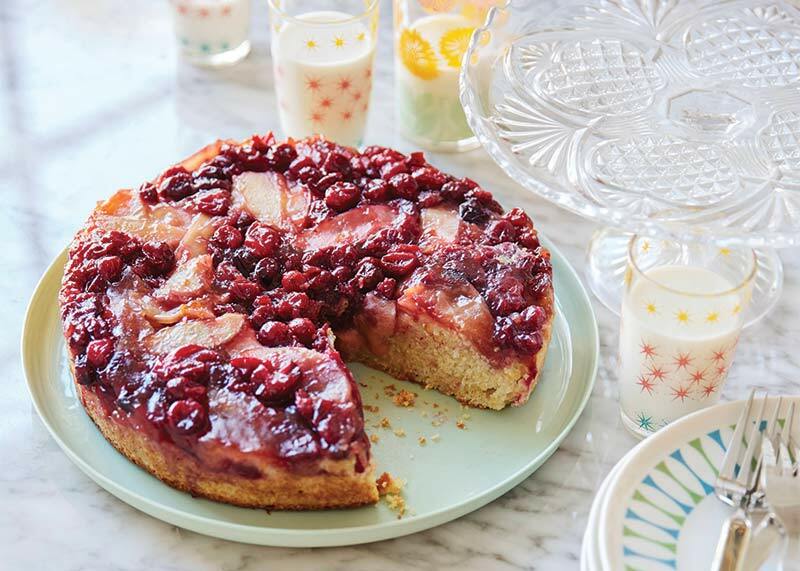 From a Southern-inspired Apple-Cranberry Upside-Down Cornmeal Cake to gluten-free Dark Chocolate Bacon Bark, these recipes will make your season merry and bright. 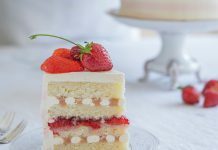 Find more about holiday baking with Julie and Jesse and check out their favorite festive recipes below. Julie and Jesse love baking with coconut oil, and try to substitute it for butter whenever possible. 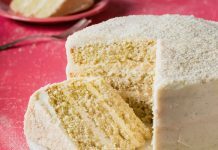 Both fans of Indian cuisine, the two added lots of aromatic spices—ginger, cardamom, and nutmeg—to this moist cake. 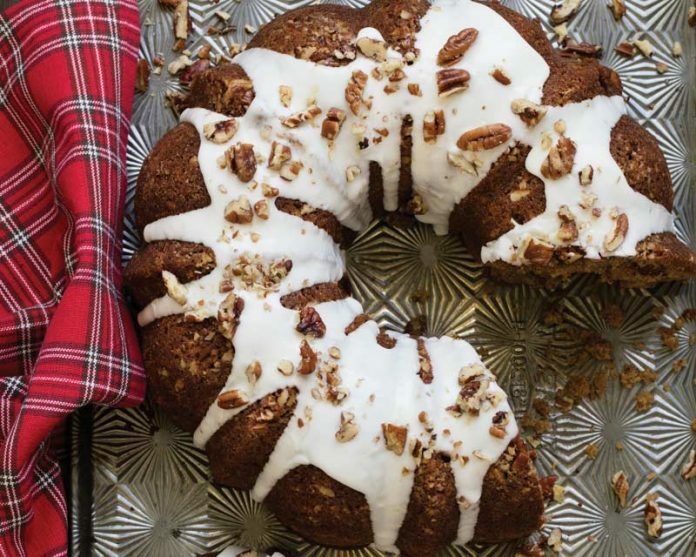 Topped with nutty pecans and a sugary glaze with sweet bourbon (one of Julie and Jesse’s favorite spirits), it features all the warmth of the holiday season. 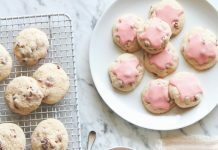 Growing up, Jesse and his two siblings would gather with their mom in the kitchen every Christmas to decorate simple Sour Cream Cookies with frosting and little edible candies, and sprinkles galore. However, his favorite cookie of all the cookies his mother made his mom made were these Candy Cane Cookies. Another holiday staple at Jesse’s house growing up were biscochitos, thick sugar cookies flavored with brandy and cinnamon and dusted in cinnamon-sugar. Julie based her buttermilk pie off her sister Mary Jane’s recipe, but added the flair of the Meyer lemon to balance out the custardy pie’s sweetness. 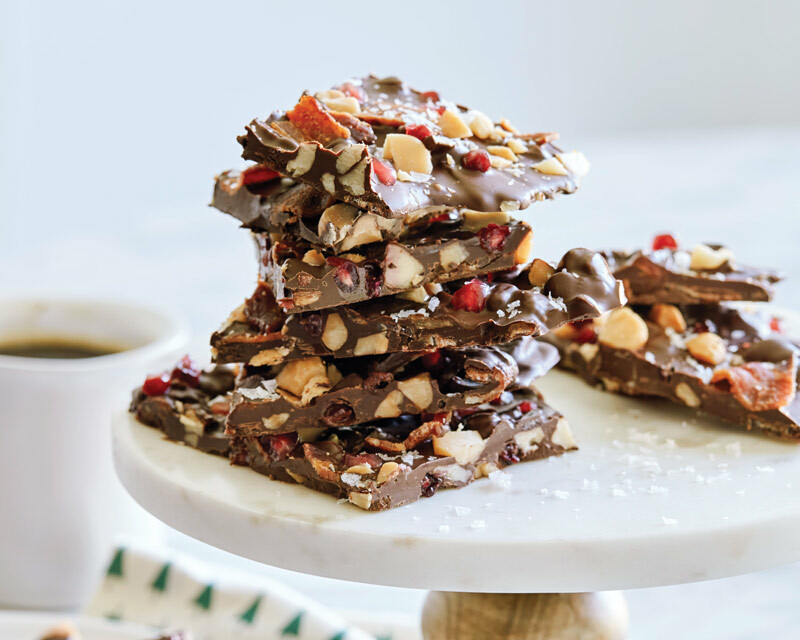 Julie and Jesse consider this gluten-free bark the “melting pot” dish that mixes some of their families’ favorite ingredients. Julie and Jesse are both bacon lovers. Jesse’s husband, Justin, enjoys pomegranate seeds. And Julie’s husband, Will, can’t resist dark chocolate. (He sneaks a bite from the pantry every night.) The whole clan adores macadamia nuts, which they associate with the holidays. 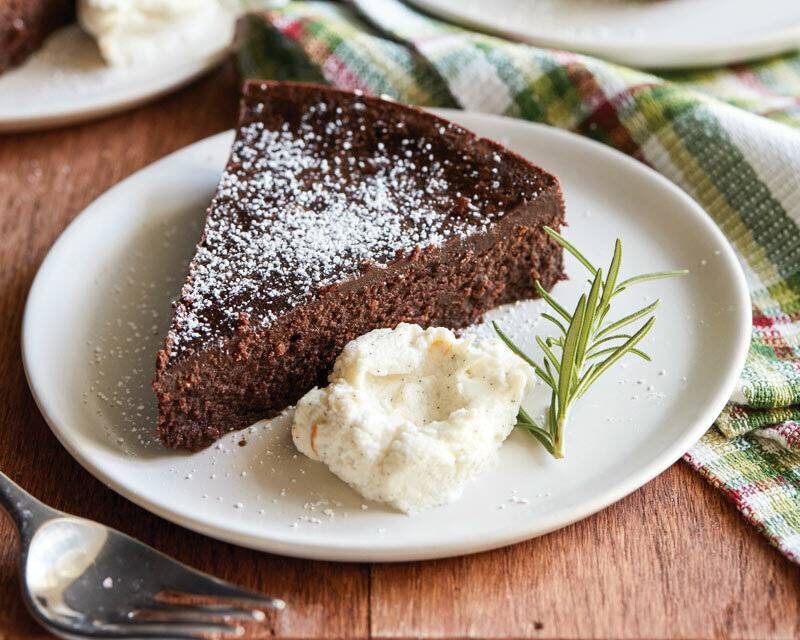 Orange and chocolate are one of Julie and Jesse’s favorite combos, and a subtle hint of fresh herbs gives this rich dessert a rustic flare. A garnish of rosemary with a sprinkling of confectioners’ sugar—like fallen snow on Christmas trees—make this recipe even more festive. 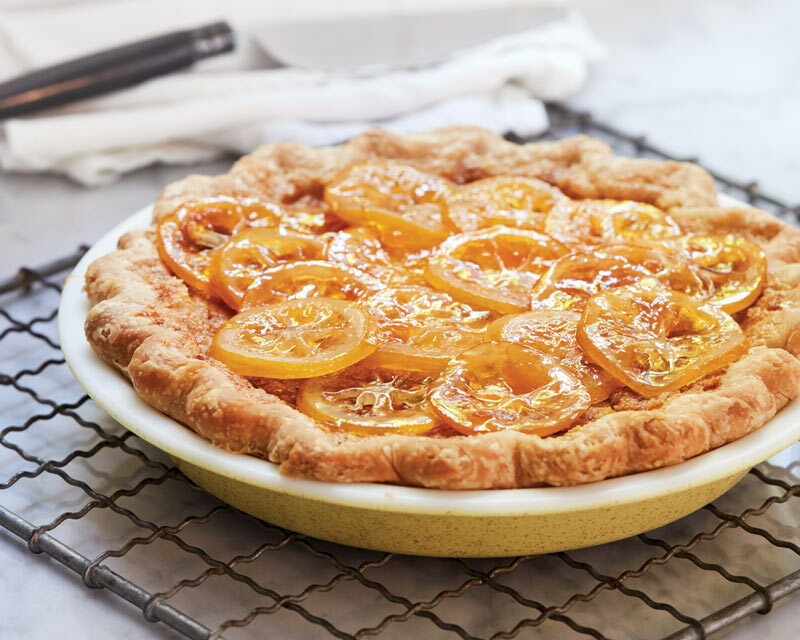 Seasonal fruits elevate this Southern-inspired dish that reminds Julie of her childhood in Alabama—where her mom always has cornbread on the stove.